Task Force X falls into line in the latest pair of action shots for David Ayer’s Suicide Squad, while House of Cards star Joel Kinnaman has also offered up some new details regarding his role as Rick Flag – the moral (?) compass anchoring Warner’s ragtag group of misfits. 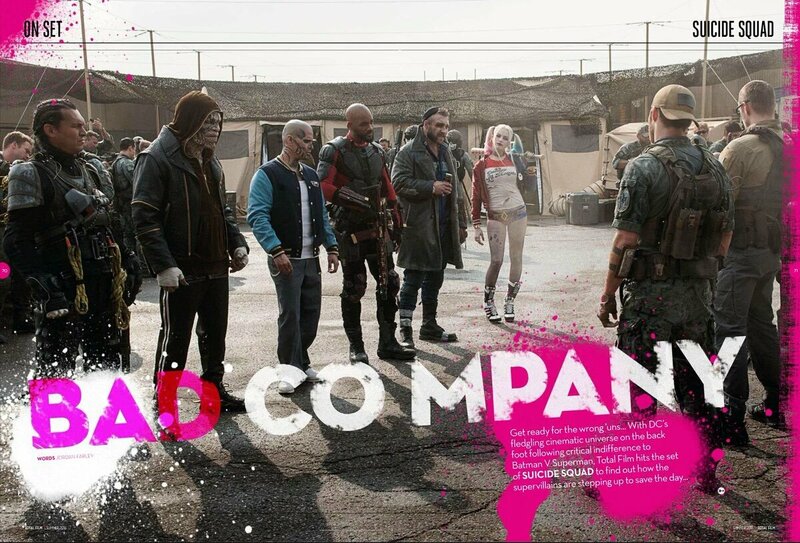 Arriving by way of Total Film (thanks, Tumblr), one image appears to be taken in the prison/headquarters, with Deadshot, Harley Quinn and the rest of the gang taking heed of the black ops battle plan; the other, however, thrusts our anti-heroes onto the streets of Chicago as they go toe-to-toe with what appears to be a supernatural threat. As for Rick Flag, Joel Kinnaman has levelled on his role as the team’s “moral foundation” – one that was originally eyed by Tom Hardy many moons ago – and what it’s like to spearhead a group of unashamed psychopaths. Headlining Warner’s ensemble are Will Smith, Jared Leto, Margot Robbie, Joel Kinnaman, Jai Courtney, Cara Delevingne, Adewale Akinnuoye-Agbaje and Viola Davis as Amanda Waller, the high-ranking government official who births the black ops group in the first place. Suicide Squad will unleash anarchy on August 5.